Join us for a free show featuring Hispanic Dance & Music by the award-winning Rebeca Tomás and modern Colombian music by world-renowned Folklore Urbano! Bethany Arts Community is proud to announce the first of many Hispanic Dance and Music programs we’ll be bringing to the region. Join us for a family friendly presentation of rhythm and culture featuring two diverse groups of artists. 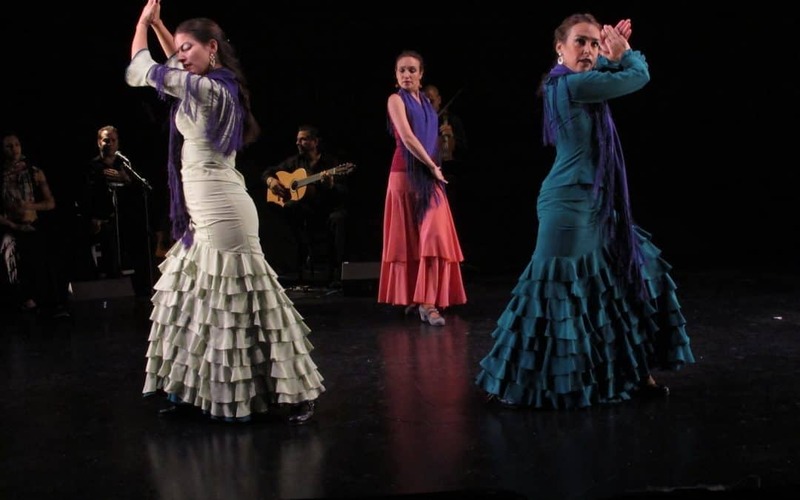 This event brings you innovative Flamenco dance led by the award-winning Rebeca Tomás and modern Colombian music by world-renowned Folklore Urbano. These artists have performed in venues around the world and are excited to be sharing their talents with their Hudson Valley neighbors. The energy they bring to our performance space will get your hands clapping and your feet stomping, and make it hard to stay in your seats! We are also delighted to announce that, soon after these artists are done entertaining you, they’ll be sharing their skills with our youngest neighbors. Both groups will be teaching Bethany’s first children’s programs offered to students of the Ossining School District. This is just the start of Bethany’s Hispanic Dance & Music program. Look out for more performances and classes in the future!